You may be moving to a new residential area due to a job change or maybe even retirement. So when moving to a new residence, there are some things that are often overlooked especially when settling down. Are you moving to a new residential address? Here are some of the key home security tips to have in mind when moving to a new home. If you are moving to a new apartment or condo, it is advisable that you hire a highly qualified residential locksmith to change the locks on your apartment doors. What is the reason for this? Consider that the previous occupants might have some duplicate keys to the main door as well as the doors to individual rooms. This is a huge security threat and many unsuspecting people have fallen victim to losing household valuables under such circumstances. Thus, a residential lock change will ensure that only you have the key to your house. If a complete lock change is too expensive for you, consider getting a residential lock rekeying service. This refers to a mechanism whereby a qualified residential locksmith in LA will reconfigure the existing locks and make new keys matching the new locks configuration. Thus, the older set of keys will be rendered useless while your new locks are secure as brand new. The advantage is that it is less expensive as compared to a lock change. In addition, lock rekeying allows you to retain the aesthetic value in the older locks. On most residential doors, the deadbolts feature as primary home security. However, in case of excessive force, the deadbolts will give way as the force might be strong enough to rip the screws from the door frame. This is why it is recommended that you go for the longer and stronger screws that will increase the strength of the residential door`s deadbolts. The longer screws will reach all the way down to the studs on the door frame fortifying the door in case of excessive force. Rekeying will take on a whole new experience when it comes to having a single key for all the residential doors in the house. In addition, consider making duplicate copies of the master key so that you can share with the other house occupants. The advantage of master keying is that it lets you use any key near you to access either of the rooms. In addition, you don’t have to keep remembering which key unlocks a particular door lock. Those are some of the key home security features to consider when moving into a new apartment. The above factors are tailored to ensure you enjoy high security. Even when living in a house that was previously occupied in the case of rentals or buying a new home. 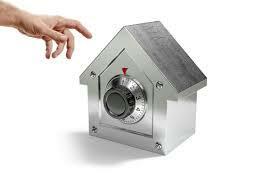 Most importantly, it is critical that you work with a licensed and insured residential locksmith who you can trust. 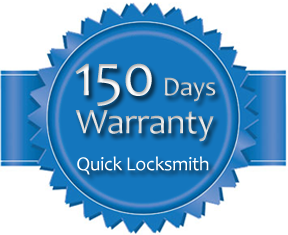 At Quick Locksmith Los Angeles, we offer a high-class experience for our customers any time of the day and night. Contact us today for a fast and qualified security checkup when moving to a newv residence. This entry was posted in Los Angeles Locksmith Blog. Bookmark the permalink.